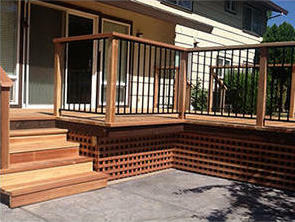 We are Sacramento Valley’s decking specialists. 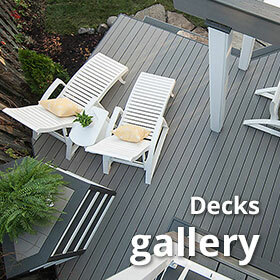 We offer a wide variety of options for your deck project. Whether you are looking for traditional redwood decking material or a low maintenance composite decking solution, we use only the best materials. For many, the traditional look and feel of redwood decking is their preference. 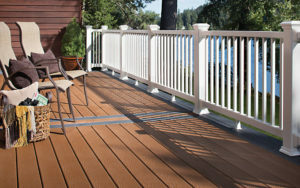 Still commonly used in decking installations throughout the Sacramento Region, redwood is hard to resist. We only use quality 2×6 “B” grade lumber that provides a mix of red heartwood and white sapwood with minimal knots, to ensure your redwood deck has the high quality look you want and the strength to last for years. 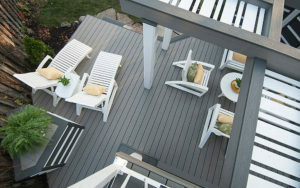 If you are looking for a high quality, low maintenance solution for your deck, composite decking is a great choice. Composite decking is very versatile, allowing it to be used in a variety of applications for decks, patio covers, railings and more. 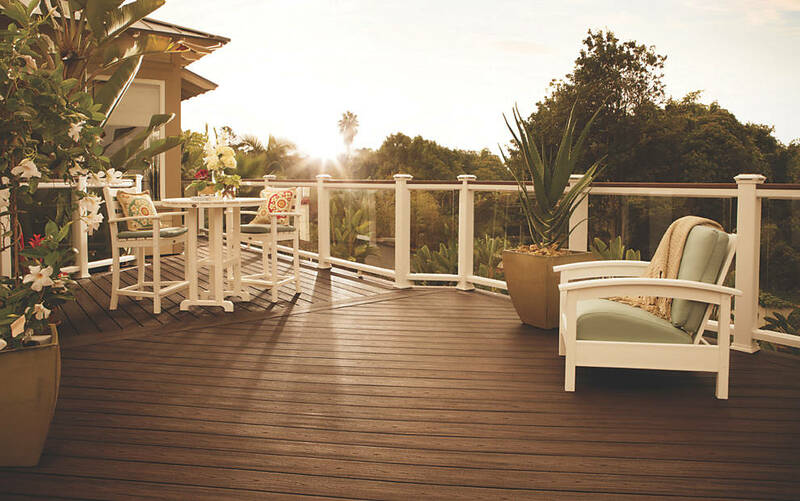 We are a proud supplier of top composite decking brands such as Trex, TimberTech, and AZEK, offering a variety of colors and styles, giving us the flexibility to provide you a deck that matches your lifestyle and budget. If you are searching for a luxurious deck finish with the look and feel of a hardwood floor, exotic decking materials are your best choice. With exotic woods like Ipe decking, you will get one of the most strong and durable decks around, impervious to dry rot. Combine that with an amazingly beautiful finish that will look and last forever, and you have yourself an exotic deck! Rest assured that when you work with 3D Benchmark Builders, you are partnering with the best. Our success is based on our commitment to client satisfaction, which is the foundation of how we approach every project. You can count on us to provide you with a high-quality deck for your yard that you will want to use every day. Call today for your complimentary in-home design consultation, and let us show you how all of our decks look better with 3D!